This is a great sport ~ it can make you fitter too! Burscough Sports Centre, Mart Lane (next to Tesco). 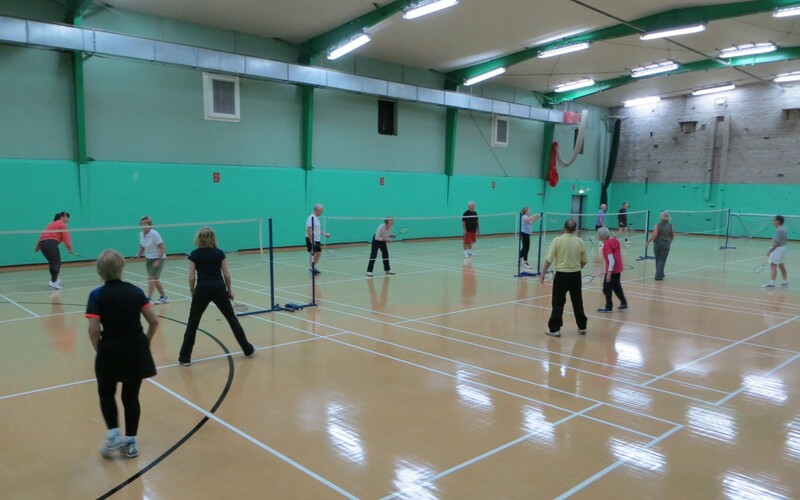 The Badminton Group now has more than 30 active players so unfortunately we are not able to take any new members at the moment. Even though we can use five courts we are concerned that the hall at the Sports Centre will be too congested. If you are interested in joining the group, please contact the leader and she will put your name on a waiting list. The current cost is £1 per session and entry to the Burscough Sports Centre is free for the over sixties. Created in the 19th Century in the Great Hall of Badminton House in Gloucestershire, Badminton is now regarded as one of the fastest and most energetic sports around! Size and strength give no particular advantage. What you need is enthusiasm and energy. Our group includes players with a wide range of abilities – from county players to those trying to remember what they did in their youth.